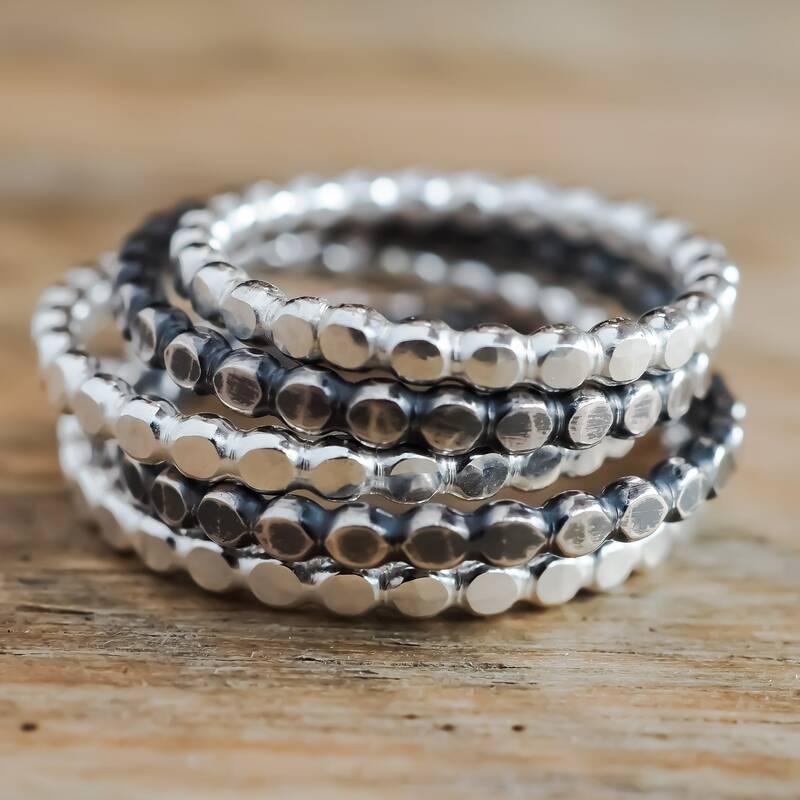 This hammered bead or bubble ring makes a great stacking ring to add to your collection. Made from 100 percent reclaimed, recycled sterling silver, making this an eco conscious choice. This ring measures just a touch over 2mm (5/64")wide. 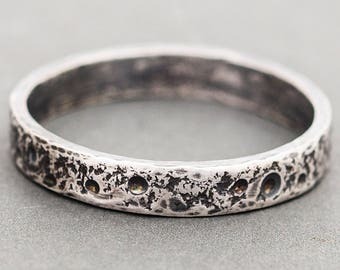 Listing is for one ring in a brilliant high shine finish or oxidised finish.